Cataract surgery is an outpatient procedure. Today, cataract surgery is one with microsurgical instruments under the high magnification of an operating microscope. Under topical anesthesia (no needles) with intravenous sedation, an incision of 2.8 mm or less allows ultrasonic phacoemulsification, or liquefaction of the lens. The ultrasonic tip allows vacuum tubing to remove the cloudy lens material leaving a clear lens capsule. A foldable IOL, specifically selected for the proper correction of nearsightedness (myopia), farsightedness (hyperopia), irregular contour (astigmatism), and even accommodation (presbyopia) is inserted through the same incision, and positioned in the exact location permanently replacing the cloudy lens. The tiny incision is designed to seal without stitches. On a few occasions, a suture may be used to secure the incision. The entire procedure typically takes about 15 minutes. Cataract surgery is one of the safest and most effective surgical procedure. More than 3 million cataract surgeries are performed each year in the United States. Cataract surgery is the most frequent surgical procedure performed in patients 65 or older. 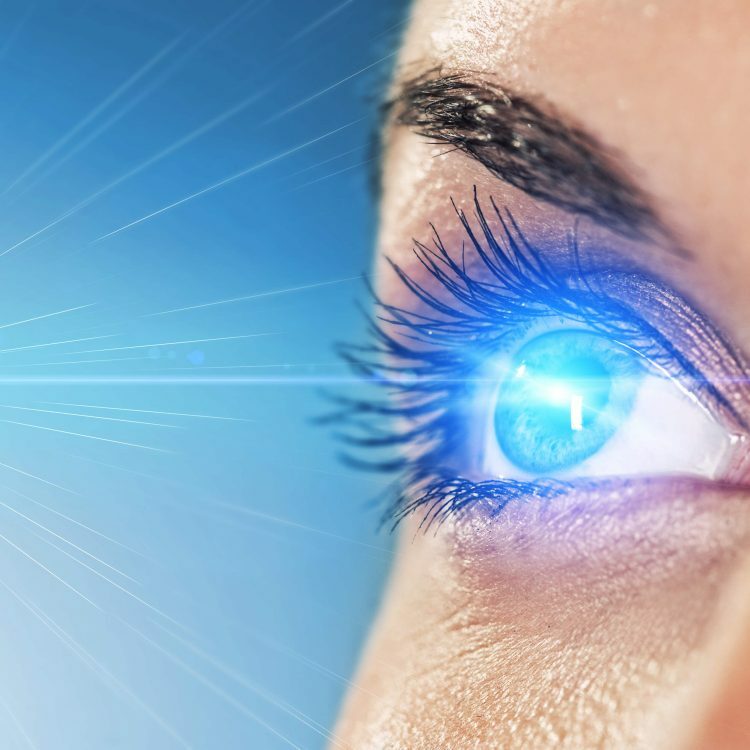 During the procedure, the natural lens (which has become clouded) is removed and replaced with an artificial lens implant called an intraocular lens (IOL). IOL’s are made of flexible, foldable plastic which lasts virtually forever. Once a cataract is removed it cannot return. Patients typically leave the outpatient facility wearing a plastic shield over the operated eye. There is usually minimal discomfort. While there are short term limitations in exercise and cosmetics, most patients are back to their normal activities after a few days. Eye drops are used to prevent infection and speed recovery. Vision improves soon after surgery and should continue to improve over several weeks. Depending on the IOL selected, patients often need to wear glasses for reading and computer use. When the natural lens is removed during cataract surgery, an IOL (intraocular lens) is inserted to take its place. Before IOL’s were developed, one had to wear thick glasses or special cataract lens to see after surgery. Now there are several different types of IOL’s available for patients undergoing cataract surgery. Before surgery is performed, the eyes are measured to determine corneal astigmatism and axial length of the eye to determine the correct power of IOL for you.